Find out how to financially secure your publishing business and use QuickBooks to assist you during tax time and all year long. Edna Washington, 45, was owner of ELP Enterprises form 1993-1996 in St. Louis, Mo., before moving to Detroit, to become Executive Vice President of Brown Contracting Co. She was instrumental in presenting Brown Contracting to the Auto Industry. 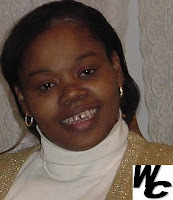 She comes to Washington Consultants with over 15 years accounting and computer experience. Washington Consultants provides accounting and computer services to small businesses. Computer skills training for youth and adults is also a service offered by Washington Consultants. Mrs. Washington also volunteers with youth organizations to help young people succeed in life. She believes in giving back to her community. She believes that our youth just need to be encouraged and shown that there is a world to be conquered.